The Circle had a real community atmosphere. Biscuits were sold from large tins with a see-through lid and placed in a bag by the shop assistant. There were also huge tins of broken biscuits, which were sold more cheaply. On weeks when the budget allowed (or more likely a wealthier relative was about to visit) you were allowed to buy 'whole ones'. Today, sadly, the broken biscuits would be discarded - but they tasted the same whether they were whole or broken. Butter was sold in the Dairy sometimes loose so that the assistant would shape your required quantity using two wooden paddles - I also remember the words 'best butter' being used. I wonder what 'worst butter' was. The butcher's shop floors were covered in sawdust and the cashier had a small office in the corner complete with a large 'till' where you paid for your purchases. There was never any question that the butchers would handle coins. My Nan would buy steak and kidney to make a pudding - always asking the butcher for the suet from around the kidney to make the pudding. It was given freely - never charged for as were bones for the dog - if they had them. I think now they would weigh the kidney with the suet and charge for it! Thinking of steak pudding/pie reminds me that we had our own 'Pie and Mash' shop. 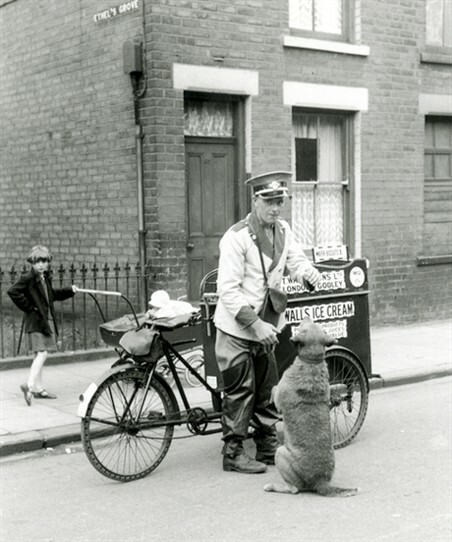 During the school holidays you could get a plate of mashed potato and 'likker' for six pence and for a lot of kids on the estate whose mothers worked this was like a canteen. You could of course have tried to venture into the Circle Cafe - located next to the blue police box - but this was predominantly a male domain - by the 60s this was frequently full of employees of Banhams Burglar Alarm Systems. But back to the Pie and Mash shop. People would take their own containers to be filled -a jug for the 'likker' and bags for the pies and a plate for the mash - it was seen as a fact that you would take your own. There was also a haberdashery - run by Miss Davies - I believe her brother was Ronnie Ronald - a 'musician' and 'siffleur' famous for whistling throughout his songs. My research tells me that he is still alive and living in New Zealand. I remember going there to buy buttons - I had a disabled aunt who used to knit for people - and she would send me there for buttons and ribbons and sometimes coloured wool to finish her garments. I was also allowed to go to the bakers and get a fairy cake or my favourite butterfly cake. It was just an ordinary little sponge cake but the top had been sliced off and divided into two pieces and replaced on top of a blob of butter icing to resemble butterfly wings. 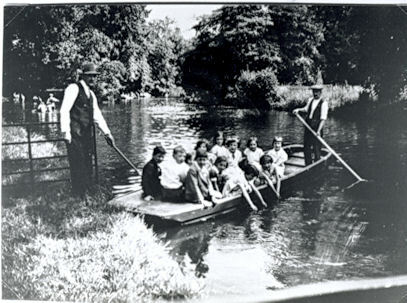 We also used to visit the bakers during the school holidays when as a group we would purchase a sixpenny bun ring - and always fight over who got the cherry on the top - and make our way to Grove Park in Carshalton 'proper'. We would also take a bottle of Tizer, which necessitated a visit to the sweetshop or Felton's, as it became known to me. As a child I remember the end of the shop with a large open display case full of different coloured lemonade bottles and jar upon jar of different coloured sweets. The children's sweet counter was also at that end where there was a dazzling array of goodies such as sherbet dabs, penny chews (well actually three for a penny) liquorish bootlaces and flying saucers to name but a few. Little did I know that when I got a bit older I would actually work there as a Saturday girl for 15 shillings a day, increased to 17s 6d when I reached 16. 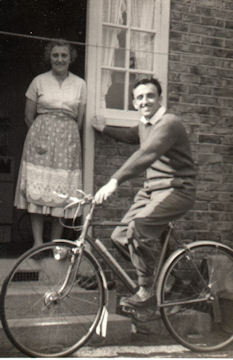 Mr and Mrs Felton ran the shop and lived in a flat above with their daughter Pat. The shop also sold greetings cards and cigarettes. I never did get to the cigarette counter - that was always left to the more experienced full time girls. There were always regular customers on Saturdays - there was a lady known to all of us as 'Auntie' who would buy a bag of Quality Street but we always had to make sure that it contained one of the purple sweets. There were also regulars who purchased seemingly very expensive 'Phul-Nana' cachous. These were very strongly perfumed small tablets, which I think masked the smell of drink. This page was added by Beverley Walker on 10/11/2010. The pie and mash shop at the Circle used to have live eels in a large trough in the window and we kids used to watch the bloke inside chopping up the eels live on a block to prepare them for stewing. Loved pie, mash and liquor but NEVER ate the eels!